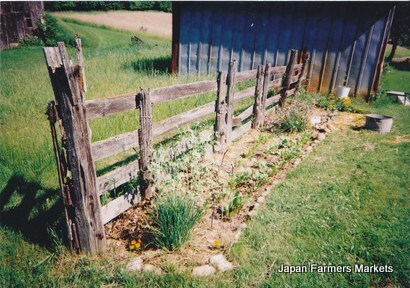 A snapshot of my first garden in Michigan. We moved to rural Michigan in the spring of 2002 after I finished graduate school. An old farmhouse on family property stood in need of inhabitants, and we wanted to give country life a go. Family and friends supported my new-found interest in growing and preserving food, lending books and spending steamy afternoons preparing tomatoes for canning. I killed some seedlings and managed to see others through to the first hard frost. I learned to make pesto and dreamed about making jam. The next year the garden, literally, jumped the fence. I grew my first popcorn and squash and made forays into the world of canning. It was spectacular fun that I obviously haven't been able to give up.